Religion plays a pivotal role transcending governance and also seeps into personal and societal life in Naga society. 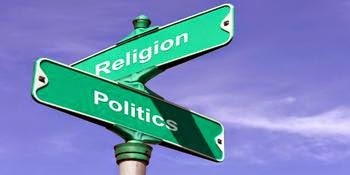 Should religion and politics be separated or should the two be combined. We see the influence of religion in governance where certain countries follow Islamic principles, or some propagating Hindu practices or using the Name of Christ to carry out activities. Religion and politics can be great instruments of social change but they can also be misused. When debating about the existence of life, we often inflict ourselves to the beliefs and the carried-on traditions and historical facts. Religion and science have so far been age old discussions. I am no such scholar who will be giving ideas on how to resolve the ethical conundrum of the existence of life, but I would like us to take a look at the scenario in our land. It is a common saying that “The root of all evil is money.”“The root of all the possible good cause is money.” We are all consumed by the fear of becoming poor; it is in human nature to be affluent. Do we not have principles and morals which define us? Christians live by rules and precepts of Christianity. An atheist lives as a free thinker, sceptic and leery. We go to church every Sunday, showing respect and fear to our Creator. We are fed with the Gospel that teaches us to be a good person and to lead the right path. This is the Universal protocol of every Christian. Religion is a way of life. There are more religions than the number of heads in a family: Judaism, Christianity, Islam, Hinduism, Taoism, Buddhism, Sikhism, Paganism, etc., to name a few. Every religion has different cultural systems and beliefs. Church associations, Pastors, Leaders, Reverends etc., are the foundation to mend our beliefs and attitude. But it is sad to know that they do not cherish their work, but take their theological study and knowledge as a profession to earn coins. We have celebrated 100 years of Christianity and have produced countless theologians but failed to define the real purpose of a Collective Christian Society. Why has our Church become so cold? Why is there always a blame game between politicians and church leaders? Are we not taught to love one another as Christians? Metaphorically, religion and politics are two sides of a coin, both fairly important to synchronise a society. Without changes in religious and political concern, it would only lead a society to nihilism. Every individual requires principles and moral values and that counts most to the leaders and to possess those principles and good moral values, religion acts as its fundamental development of virtues. Religion cannot be excluded from any area of human activity including politics. One’s religion must guide all of one’s activities. Religion being the most potent force in our society can be and must be utilised for the social change and the building of our society. Fishes live under water, bird lives on trees. Shuffle their habitat and both will perish. Same implies for religion and politics. They cannot interchange their place though both are imperative for the existence of life. It is needless to say that human beings differ from one another. Religion and politics classify the mental reverberation of a communion, bringing people, group and society to an agreeable mindset, which is impeccably constructive for a society. This reflection on politics and religion mandates the moral and discipline of a society. Our existence has been questioned over and over again in ancient, past and the present. We do not have a definitive answer and the society requires the basic element of religion and politics to provide a sustainable answer. Many scholars have given their views on this particular topic. Many have expressed their thoughts trying to deliver answers to the questions unanswered. This issue of political and religious struggle may only reach a limit of satisfaction unless we have changes. Religion and politics are a blessing to us. They help us to maintain a degree of humanity, though it has loose loops of functionality. It is up to us to favour the best and the right relation of existence. This article is merely an attempt to comprehend what adjudicates our silly and intricate feelings towards optimism and belief.